If you’re looking for affordable holiday accommodation in a beautiful setting, Apollo Bay Beachfront Motel is here to help. Located just across the road from the beach and just a stone’s throw away from the shopping and restaurant hub, we’re proud to be the gateway to the Great Ocean Road. 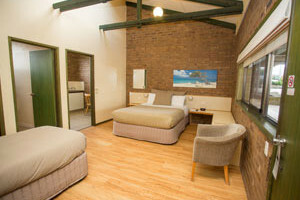 Whether you’re a couple on a romantic getaway and want a quiet, intimate atmosphere, or a small group of friends on the way to exploring the stunning natural parks and wilderness, we’ve got the motel accommodation to suit your needs. Our beachfront motel offers a range of rooms, including twin, queen and superior queen options. Each room is furnished with modern appliances and simple decor to ensure maximum comfort. 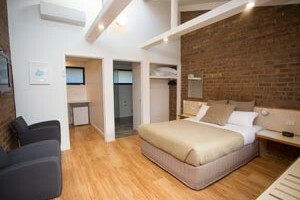 All our rooms are located on the ground floor for easy access, with undercover parking available outside each room. Please talk to our friendly staff if you would like to organise any special requests. In addition to being located opposite the lovely Apollo Bay ocean front, we’re also across the road from the V/Line bus stop, Apollo Bay Visitor Information Centre and start of the Great Ocean Walk. From here you can find out more about the wide variety of local attractions and activities, including the Otway Fly and 12 Apostles. 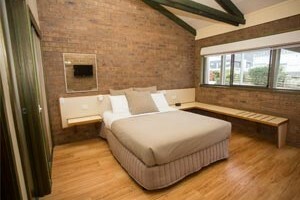 Please contact Apollo Bay Beachfront Motel if you would like to make an enquiry about room availability. Alternatively, you can search vacancies and place a motel booking online. For more information, please refer to our beachfront accommodation FAQ or take a look at our motel guest reviews.